We are on Block #6 of the Summer Sampler Series, the Arkansas Traveler. I love this one! 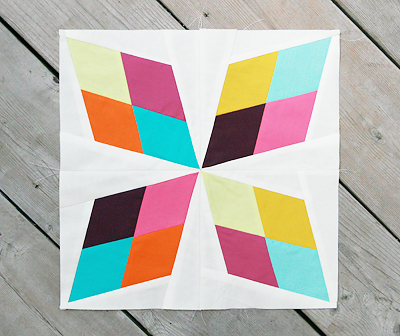 Lee has the tutorial up on her blog, Freshly Pieced, and it looks really simple. After today we are halfway done with our blocks! Don't forget to post your block to the Flickr group, as well as any questions you have while making your block. Check back here later, I will post my block hopefully later today.